A View of the Royal Exchange, London. Coloured engraving. 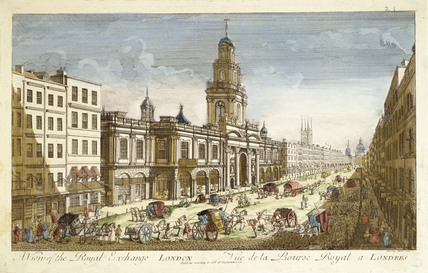 General view of the busy street with the second Royal Exchange, designed by Edward Jerman. The first Royal Exchange designed by Sir Thomas Gresham was destroyed in the great fire of 1666.